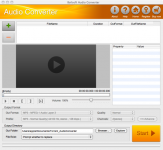 Boilsoft DVD Creator is a DVD creator plus a DVD burner. It can convert your favorite movie, video files into a DVD. Supports DVD menu design.